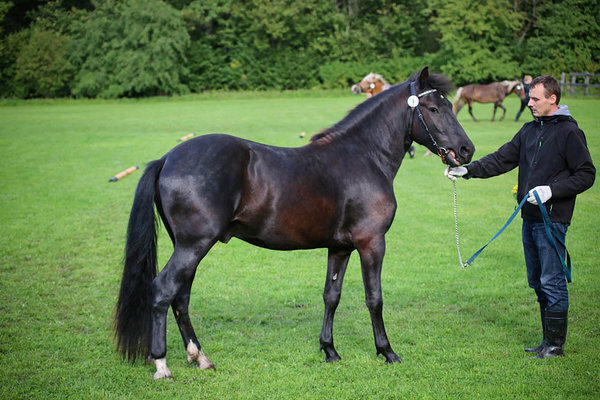 Rambo is bigger-sized sporty gelding. 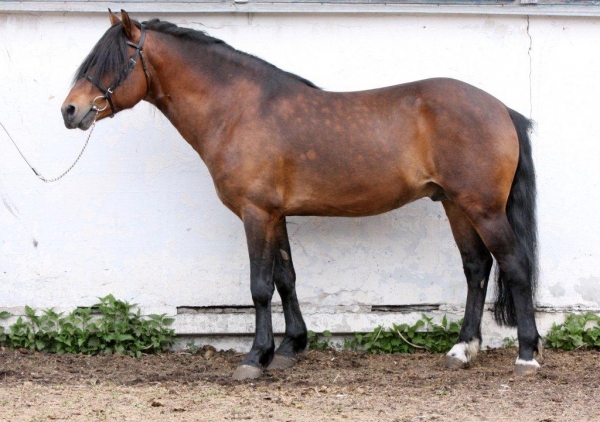 Is familiar to lunging and saddle, but isn't broken in yet. 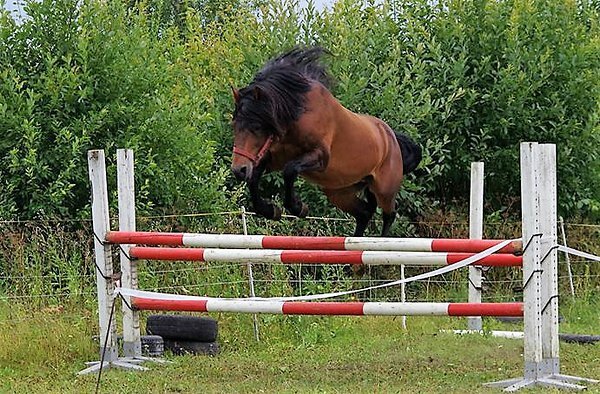 Horse has won I price in National Estonian Horses Show in 2017. Dam Andra has very good type and legs. She has given several good siblings, e.g. 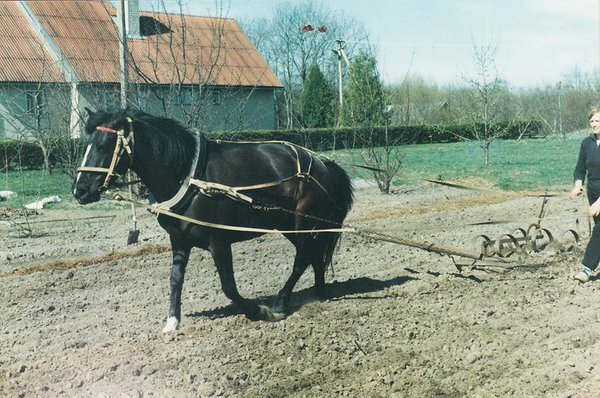 licensed stallion Euro and Veto, who had good results in driving competitions. Andra herself was also nice riding- and driving horse. 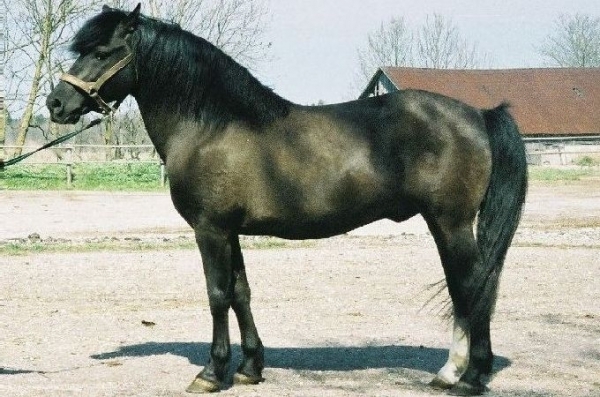 Sire Raksel 725E (s.Rosett; d.Esta) was licensed Estonian native stallion. 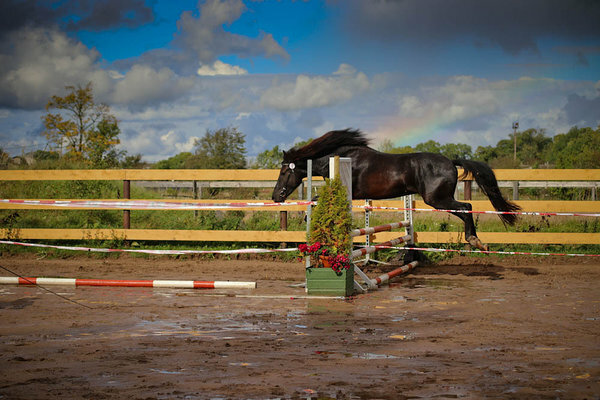 He was sporty by type and had 3 good gaits: especially his canter was airy and also jumped powerfully. He has left his airy movements also to his siblings.